We encourage everyone to attend our Sunday services and to be part of the worshipping community gathered with the people of God, around the Word of God, and the Lord’s Table. 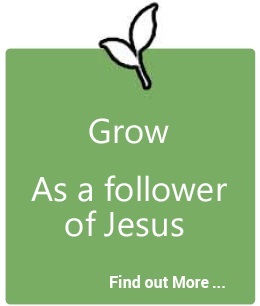 We believe that everyone is called and gifted by God in some way to help build the church and that it is through being part of a fellowship of followers that we learn and grow in our faith. We encourage everyone to participate in a DNA group. DNA stands for Discipleship Nurture Accountability and is a group of 2-4 people, who meet together once a week at a time and place of their own choosing. The broad purpose of the groups is for each member to disciple one another through sharing their journey of faith with one another in fellowship, praying for and with one another, pastorally caring for one another and voluntarily holding one another accountable for their journey of faith. The DNA groups have no leader, there is no structure of hierarchy; they are simply groups of fellow travellers walking the journey of faith together. In 2016 we also introduced bible study materials for the DNA groups that wanted to have some guided study as part of their group. The church’s motto is Serving God Serving the Community and we believe that one of the ways that we grow in our faith is through service, for it is through service that our dependence and trust in God is deepened and strengthened. We therefore encourage everyone to be involved in the various ministries and activities of the church both internally within the congregation and externally within our community. We recognise that we cannot teach others to obey all that Christ commanded if we ourselves are not also being obedient to his commands. Every member is encouraged to model the kind of life that we call others to live, to be faithful in word and deed.